234 pages | 155 B/W Illus. 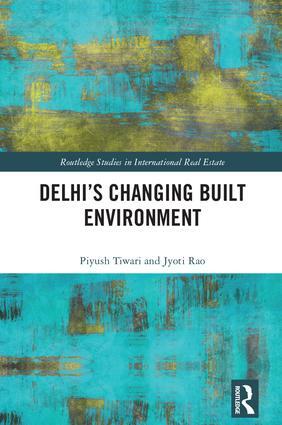 Piyush Tiwari is Professor of Property at University of Melbourne, Australia. His research interests include infrastructure policy, housing economics and mortgages, commercial real estate investment, and fi nancing infrastructure in developing countries. He has published numerous research papers on issues related to real estate and infrastructure. Jyoti Rao is an early career researcher pursuing doctoral research at the University of Melbourne. Issues related to housing and land economics are of prime interest to her. She is professionally trained as an architect, urban planner and real estate professional.